A MUST-SEE MUSEUM IN PARIS! Free entry and free guided tour. 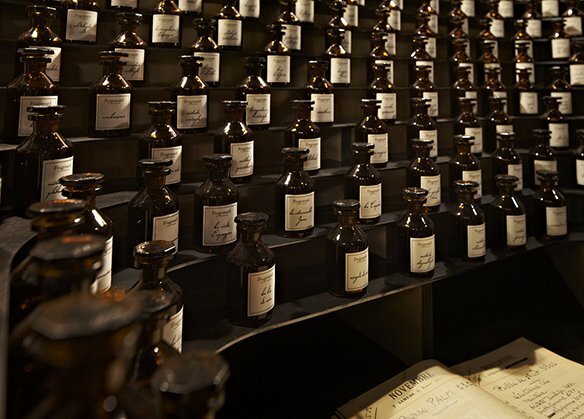 Set in the heart of Paris, just a stone’s throw from the Opéra Garnier, the Musée du Parfum is a one-of-a-kind, fun and instructive museum concept, bringing to life the making of a mythical luxury object, now part of our everyday life: perfume. 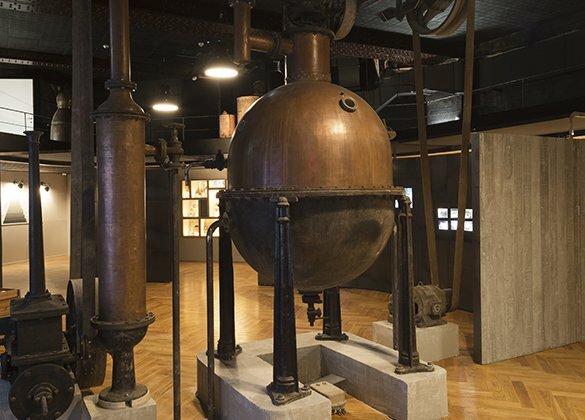 Visitors are invited to follow the manufacturing process from raw materials to harvesting, extraction, distillation, formulation, industrialization and bottling, together, of course, with the creative process and work of the master “noses”. 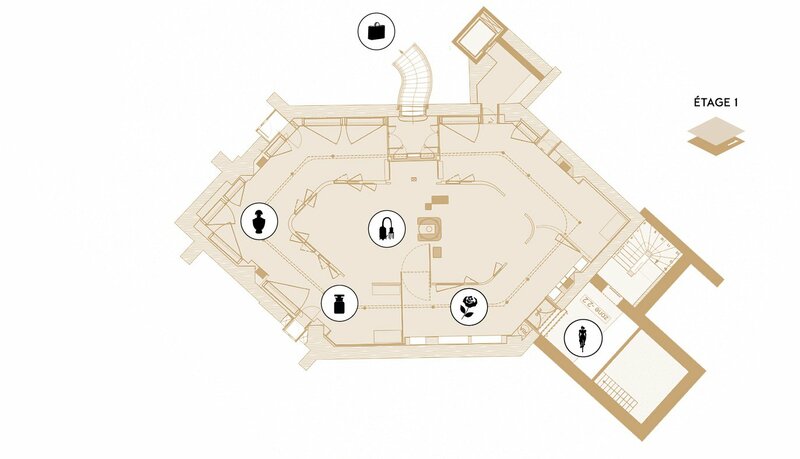 Situated in a little-known venue, the Musée du Parfum boasts an astonishing architectural heritage. In the 19th century, this history-packed building was the site of the Eden Théâtre, built in Oriental style. It hosted major, fairytale ballets, in vogue at the time. After haphazard management, it was then converted into bicycle merry-go-round where Parisians came to learn how to cycle – a very modern way of getting around at the time. 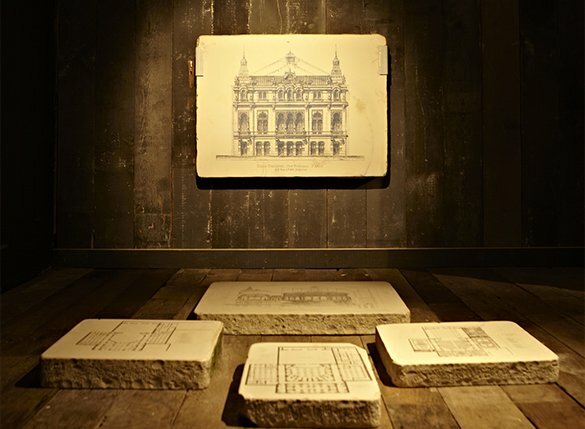 A set of Haussmannian buildings was erected there in 1896, where the famous English furniture dealer Maple & Co set up shop and remained for the next 118 years! They ceased business in 2014 and transferred the keys to Maison Fragonard. Laid out in the spirit of cabinet of curiosities, the items on show in this first area evoke the history of the perfumery laboratory. 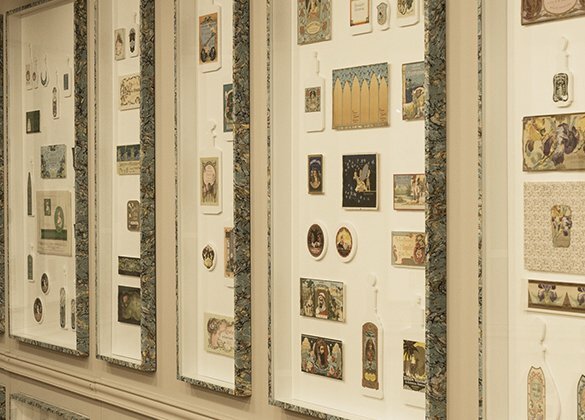 The showcase presents objects used in bygone day: apothecary jars, maps, engravings, animal matter, measuring instruments and botanical illustrations. 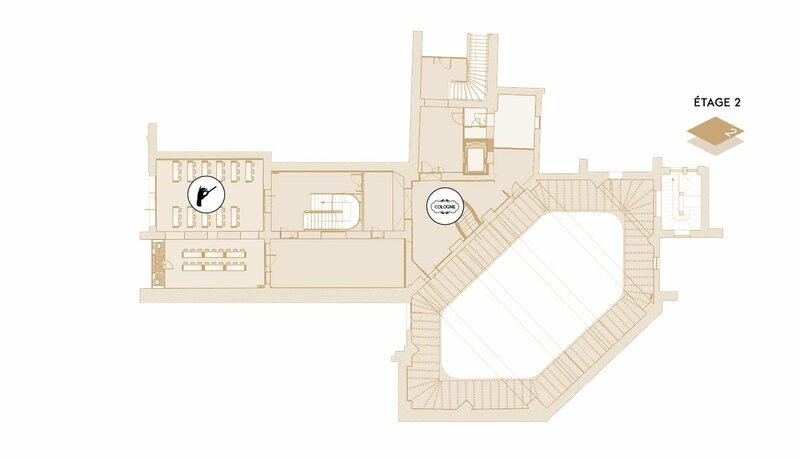 An interactive plan offers visitors an olfactory voyage of the five continents, featuring the most emblematic aromatic flowers: Chinese osmanthus, Italian bergamot, Australian sandalwood, etc. Here, the visitor is plunged into the atmosphere of an early 20th-century perfume factory. Stills, ancient photos and archive films retrace the various stages of perfume making and show how the trade has evolved over the last century. Although modernized and mechanized, the gestures remain the same – those of men and women who grow, gather, select, blend and bottle the precious elixirs. Magicians-come-artists-come-chemists, perfumers call on all of their talents to compose their masterpieces. They possess unique know-how and develop their own olfactory signature. 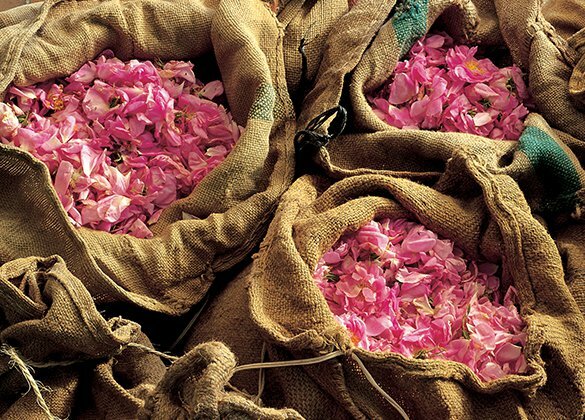 Often compared to a work of art, the perfume creation process takes months and sometimes years. Genuine creative geniuses, their art resides in their ability to innovate, sense and transpose the spirit of the times. Harboring an exceptional collection of perfumery-related objets, Maison Fragonard exhibits rare items at the museum, dating from Antiquity to the 20th century. Perfumes from across the ages and trends are found here in their three states: liquid, solid and vaporous. 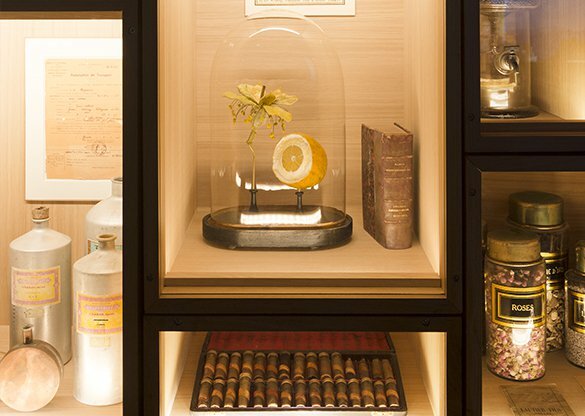 The collections reflect the various aspects of perfume and its different uses in chronological and historical order. Initiated by Jean-François Costa in the Fifties, it is constantly enriched by the Maison’s current directors, Anne, Agnès and Françoise Costa. An essential attribute of the perfume bottle, labels first appeared in the late 19th century with the event of industrialization. Often forgotten, Fragonard decided to dedicate a special area to them, exhibiting the finest examples of its vast collection and reflecting the fashions and artistic trends of the early 20th century. 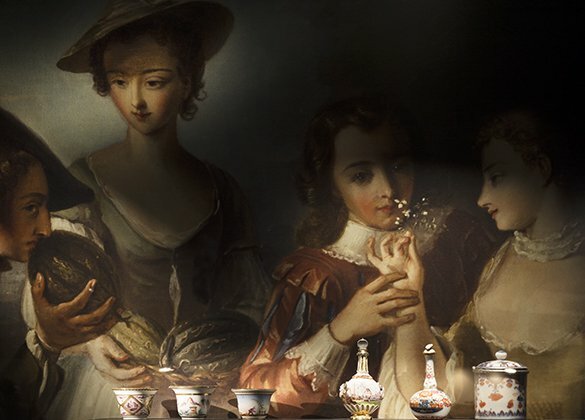 Amid a layout portraying Maison Fragonard‘s major milestones since 1926, visitors can enjoy an olfactory challenge and refine their sense of smell. Test your nose! Behind this door lies the perfumer’s workshop… A genuine perfume laboratory, this area, dedicated to our Perfumer’s Apprentice workshops, allows you to discover the secrets of fragrance creation. 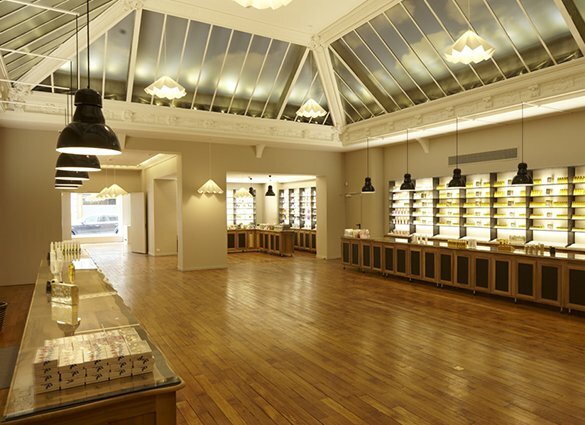 Set above the museum area, the shop offers the complete range of Maison Fragonard perfume products, including perfumes, Eaux de Toilette, soaps, candles, and diffusers, together with cosmetics, shower gels and gift boxes. 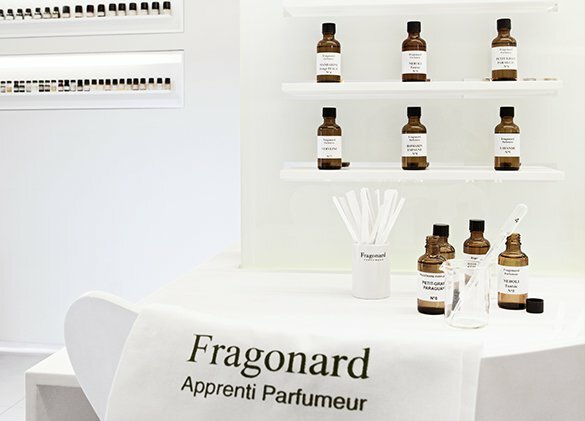 Fragonard’s perfume ranges are particularly rich and diverse and feature floral, fruity, cypress, woody and Oriental scents – a magnificent way to prolong your stay, discover the various olfactory families and find a fragrance ideally adapted to your personality, tastes and desires. The Fragonard lifestyle, decoration, fashion and accessories collections can be found at a neighboring shop, 5 rue Boudreau, Paris 9th arrondissement (20 meters from the museum).